Be the first to share your favorite memory, photo or story of Lavada. This memorial page is dedicated for family, friends and future generations to celebrate the life of their loved one. Lavada Moore, age 74 of Graham, passed away Thursday, December 20, 2018. Funeral services will be held at 2 p.m., Sunday, December 23rd at Morehart Mortuary Chapel with Pastor Jeff Gleason officiating. Interment will follow in the Graford Cemetery under the direction of Morehart Mortuary. Visitation will be held from 12:30 p.m. to 1:30 p.m., Sunday, December 23rd at Christian Fellowship Church. Lavada Marie Sims was born February 21, 1944 in Graford, Texas to parents, Benjamin Franklin Sims and Lucindy Elizabeth West Sims. She married William Thomas Moore in Graford, Texas on February 28, 1962. Lavada worked at Victor’s in Abilene as a machinist and was also a CNA. Lavada loved reading, watching scary movies and mostly, her grandkids. She was preceded in death by her husband, William Thomas Moore, Sr.; her parents, Benjamin & Lucindy Sims; and two sisters, Carolyn Wagoner and Shirlene Miles. 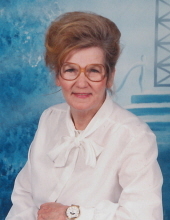 Mrs. Moore is survived by one son, Tom Moore & wife Susan of Breckenridge; one daughter, Anna West & husband Kyal of Graham; one brother, Paul Sims of Midland; six grandchildren, Trey Moore of Fort Worth, Alex Moore & wife Sara of Fort Worth, Matthew Caleb Moore of Fort Worth, Tyler Brazee of Plano, Samantha Isbell & husband Preston of Graham, Brock Brazee of Graham; three great grandchildren, Paislee Isbell, Carly Moore and Dawson Moore. Memorial contribution may be made to American Lung Association and may be left at Morehart Mortuary. Condolences may be made online at www.morehartmortuary.net. "Email Address" would like to share the life celebration of Lavada Moore. Click on the "link" to go to share a favorite memory or leave a condolence message for the family.